1. Painless treatment focus RF energy at the correct position, compared to other radio frequency technology .it uses low energy and high frequency,safe and effective. 2. Aim at the skin surface and deep location,using a complex method to control the different currents and energy, direct access to the different skin layer. Does not cause the phenomenon of uneven skin. 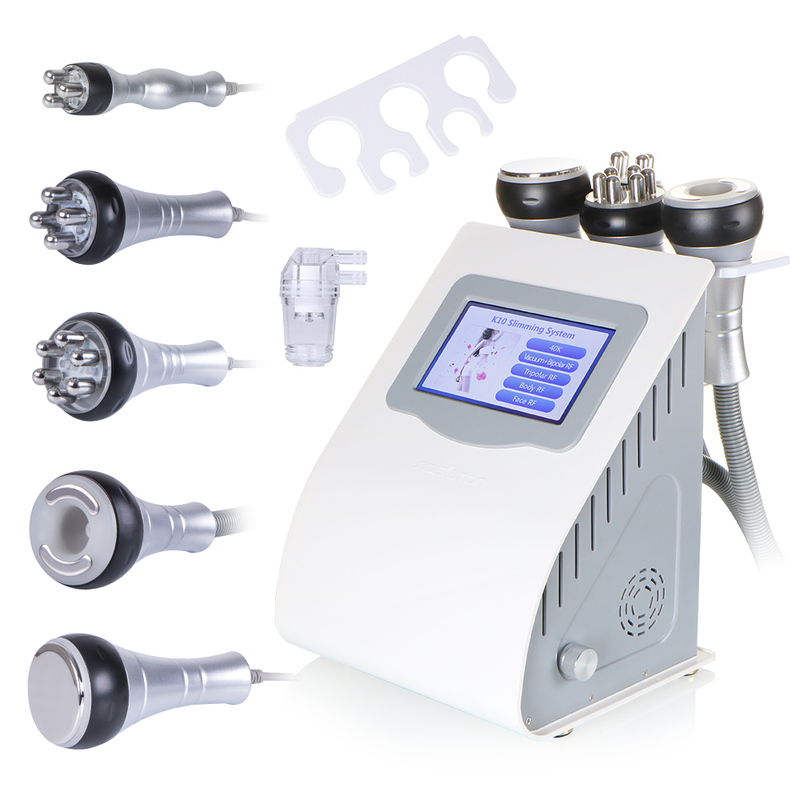 With the most useful 40KHZ ultrasonic cavitation system, without side effects and the risk of gaining the weight back, to vibrate and stimulate the fat cells. Firming the arms, legs, thighs, buttocks, waist, back, abdominal muscles and reshape the body figure, Improve and treat the orange peel like fatty tissues of different serious levels, with the effects of smoothing, body slimming, weight loss.